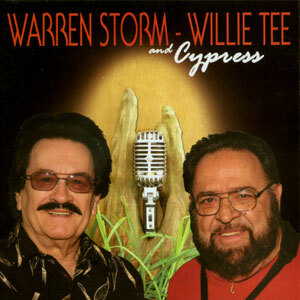 Legendary vocalist & saxophonist Willie Tee has done it again. 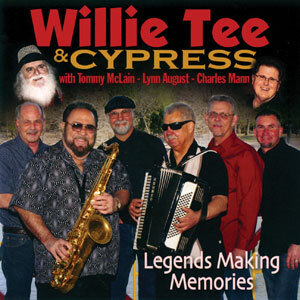 Willie Tee & Cypress band has created for your enjoyment yet another great collection of music. From his original version of “You Did It Again,” written by V.J. Boulet, to “What’s That You Got,” a song by idol Fats Domino, one can see just where his talents lie. 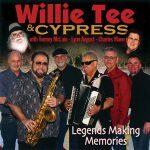 Willie has dedicated his life to music and his saxophone sound is distinctly his own, which is evident as you listen to his big, robust voice. 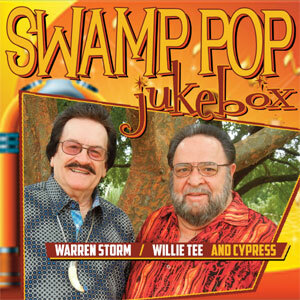 With a mixture of swamp pop & country with a little Zydeco & French thrown in, this will surely get you up & dancing! As an added bonus, Willie Tee has three special friends joining in on the fun on this album. Legendary guests Tommy McLain (Mr. Sweet Dreams himself), singing “Another Saturday Night in Wardville,” Lynn August, generating energy & excitement to “My Soul,” which will surely leave you asking for more, and Charles Mann, making this album a must-have with his version of “Sometimes,” originally by Gene Thomas. Released April 17, 2012, 16 tracks.